Here's my first 3D RAW (right angle weave) necklace. 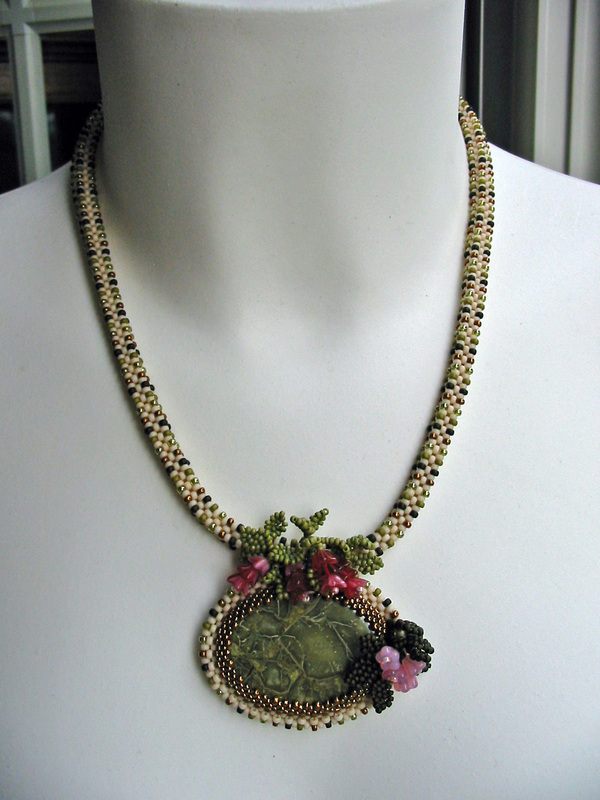 The Green Brecciated Jasper cabochon is embellished with brick stitched leaves and Czech pressed glass flowers. 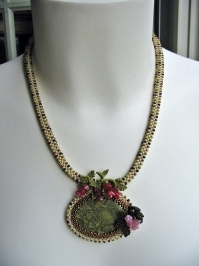 I learnt how to make the 3D rope from Pivoine's tutorial and the 3D RAW cabochon's bezel from Coco's (Bagousenfollie) tutorial. Thank you so much for the wonderful tutos! very very beautiful necklace ! congratulations ! Thank you so much for sharing your lovely beadwork. Best wishes and kind regards, Kathryn.